Home / Posts Tagged "Poultry"
January 12, 2015 - Dehydrated Mealworms. 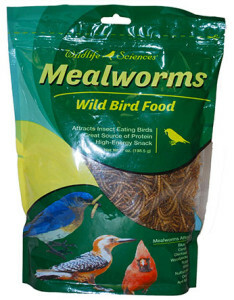 Wildlife Sciences enters the Mealworm category with the addition of an attractive 7 oz. stand-up, re-sealable pouch. Mealworms are a growing category within the wild bird and backyard poultry categories. They are effective for attracting wild birds and used as a foraging treat for backyard poultry. 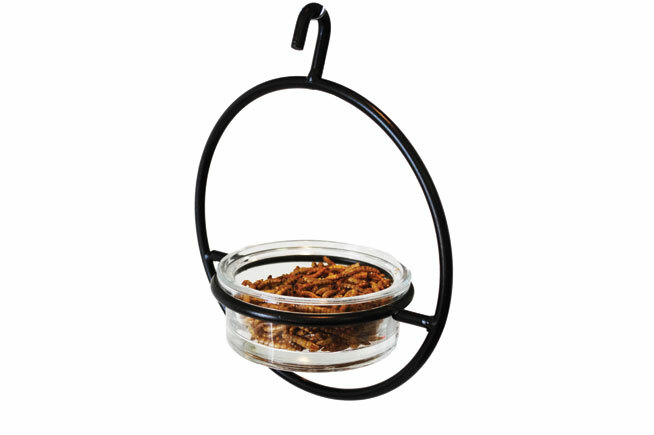 Mealworms can be fed in open trays for wild birds. Wildlife Sciences offers an attractive heavy duty metal ring with a glass jar. The built in hanger allows consumers to collect multiple feeders and hook them together to create a nice looking display.